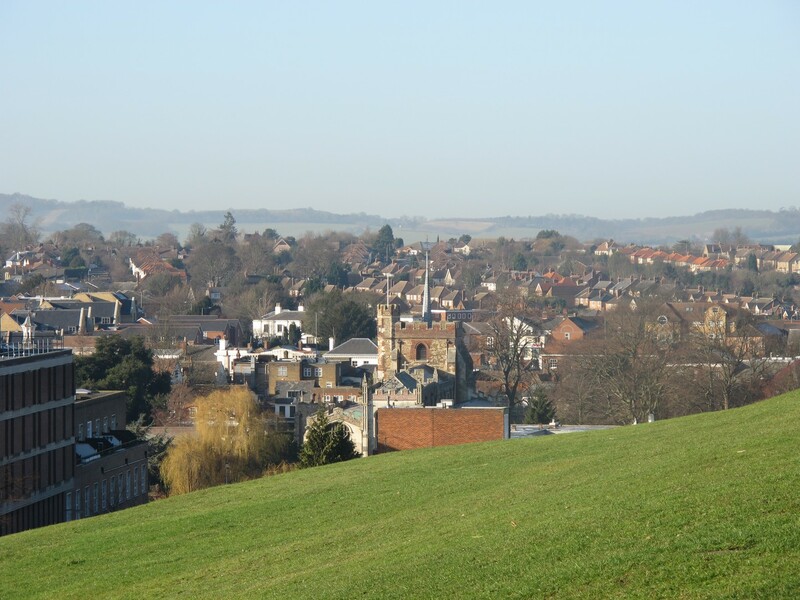 At the national level, Government policies on issues such as housing provision and major infrastructure development guide what happens over the wider area, and influence the context in which Hitchin changes over time. At the Local Authority level, Herts County Council policies guide among other matters education provision and transport, while North Herts District Council policies include guidance of housing and employment development, conservation and design. All these directly affect what happens in our town and the surrounding area. At the most local level, major development proposals such as Churchgate, as well as individual site applications are decided by NHDC (and sometimes by the Secretary of State) and can have a major impact on local people. At each level, Hitchin Forum can have an impact, working with the wider community and other local societies. This means that as individuals working together we can make a difference. Over the last few years Hitchin Forum has helped to bring the idea of a new settlement higher up the agenda as an alternative to continued Green Belt development – by attending local meetings organised by the Town and Country Planning Association, and by writing to local MPs who have responded positively by stating their support. In 2016 we worked with other societies across the County to provide evidence to the Local Plan Expert Group set up by the government to inform their current review of the planning system. The Housing White Paper of February 2017 (click here to see) reflects some of the suggestions on, for instance, better funding of Planning Departments, and adoption of a standardised method for assessing housing need. The current review of the National Planning Policy Framework, when published, may provide further opportunities to comment on relevant national policies such as affordable housing and the Green Belt. Over recent years the regular changes to the planning system and national policies have been making the system increasingly dysfunctional. We are hoping that there will now be a period of long term consistency in the planning system so that truly sustainable development can be properly directed and achieved. The preparation of the Local Plan by NHDC has taken a lot of our attention over the last few years. Hitchin Forum has been working with Hitchin Society and Hitchin Historical Society, and with support from Hitchin Initiative, to set up the Hitchin Town Action Group (HTAG) which has sought to harness the views of Hitchin people. Our first task was to get local support for the protection of Priory Fields from housing development. Together with members of all three Societies and 1,800 supporters, we put the case for its retention as Green Belt and an area with high recreational value, resulting in the area not being proposed for development in the draft plan. The HTAG response to the first consultation in 2015 click here – response to L P Preferred Options 1.02.15 included some important suggestions on policy relating to housing, design, environment and conservation – many of which found their way into the Council’s Submission Local Plan (SLP – on the NHDC website here) in 2016. In the HTAG response (November 2016) to the SLP, we expressed concerns about a wide range of issues about provision of major shopping proposals for Hitchin town centre, the continued poor access to the industrial area, the importance of ensuring Hitchin housing developments fit into the local environment in terms of landscape and access, and the need for overall improvements particularly in terms of sustainable transport, air quality and ease of movement. We await the outcome of the Examination in Public by an independent Inspector which is expected to be finished in March 2018. There may be directions from the Inspector as to how any modifications that are required in the Local Plan. There has been a long running concern about the future of the Churchgate shopping area, the Market, and the neighbouring parking areas. Following intense lobbying, when Hitchin Forum organised an online petition with over 3,000 signatures, the Simons scheme was rejected in 2015. A new initiative was announced by NHDC in January 2018 and Hitchin Forum together with the other HTAG societies will keep a close watch on emerging proposals, to ensure that any scheme is of a smaller scale: to reflect growth in internet shopping and major centres in the wider area and to ensure that the wellbeing of the market is part of the plans. A useful consultation process should be set up as soon as possible. We have also tried to influence other on-going proposals for instance at the Town Hall, Bancroft Recreation Ground and Butts Close (found on our Concerns, Issues & Campaigns section). Throughout 2016 we have been able to comment on a wide range of applications, for many of which the Council decision was consistent with our commentary. Examples include The Sir John Barleycorn and The Nightingale which were modified to obtain acceptance; and the proposals at The Exchange and 19 Russell’s Slip/10 Moormead Close – both of which were rejected. We will increasingly use the Local Plan policies to challenge ill thought out proposals and poor design, for instance focusing on issues such as sustainability, quality and character (density, scale and style), respect for the natural environment, flexibility of use, accessibility and security. We also offer help to HF members who are concerned about applications that affect them and their local community. If you agree with us that these planning issues are important, and would like to influence what Hitchin Forum says on them, please make sure you are a member of the Forum (contact details), and consider whether you would like to join us in pursuing the policy issues or helping to comment on development proposals and applications (planning@hitchinforum.org.uk).